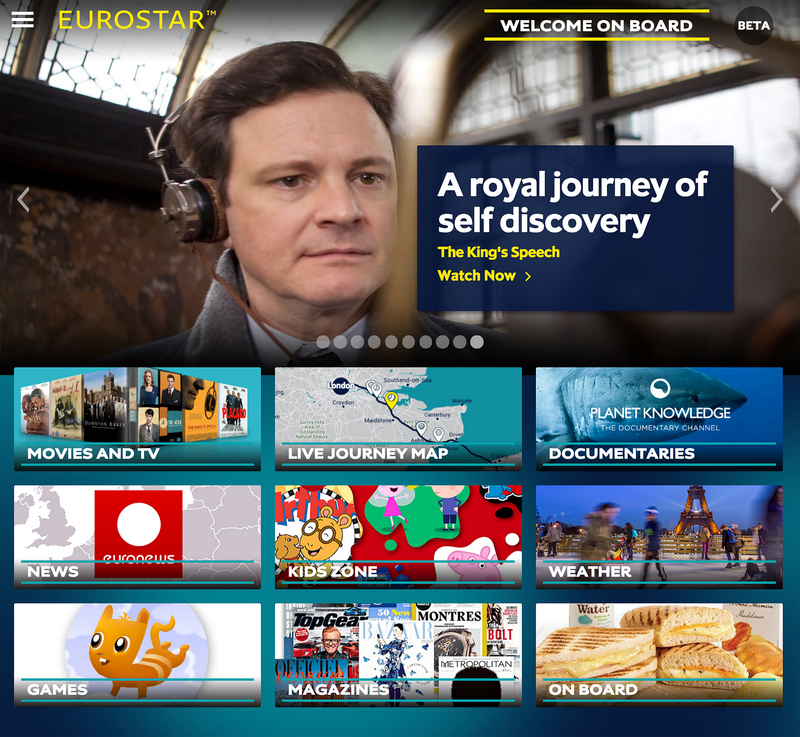 Eurostar, the high-speed rail service connecting the UK and mainland Europe, is pleased to announce the launch of wifi and onboard entertainment across its new fleet of state-of-the-art trains. Following the arrival into service of the e320 train on the London-Paris route at the end of 2015, Eurostar passengers can now enjoy a complete transformation of their on board experience. 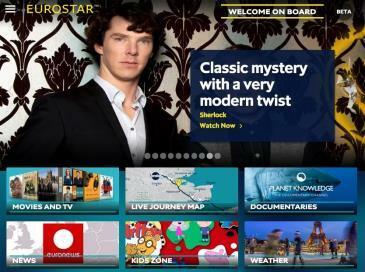 By connecting their mobile phone or tablet to the free on-board wifi, customers can unlock more than 300 hours of popular TV shows and movies ranging from the much acclaimed Sherlock series to the King’s Speech. With news, games, magazines, a special children’s zone and a live moving location map, the system sets a new benchmark for on-board entertainment in short haul travel. Recognising the importance of connectivity for passengers, the e320 trains will be equipped with free wifi, allowing customers to email, chat and tweet during their journey. In addition, digital screens featuring up-to-date journey information are located in each carriage. With increased seat capacity on the e320, Eurostar is now offering its most competitive fares ever. The combination of a lead-in price of £29/€39 one way to Paris/Brussels/Lille and fares from £37 to hundreds of destinations across France, Holland and Belgium, makes Eurostar the fastest, easiest and cheapest way to travel between the UK and mainland Europe. Over the next 3 years Eurostar is introducing 17 new e320 trains into its fleet and is carrying out a programme of refurbishment of its original trains.